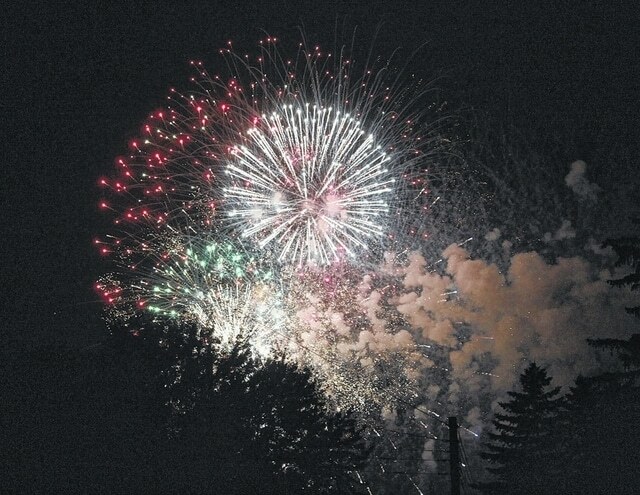 The annual Swanton Independence Day celebration will be held on Friday at Swanton High School. The viewing area at the high school will open at 6 p.m., with the same food vendors as in past years. There will also be a DJ playing American tunes. Happy the Clown will be entertaining the kiddos with face painting. Village officials expect huge crowds as usual, so an early arrival is recommended to secure a spot. This event is made possible through a donation from Rick Lederman which matches the donations received from local residents, businesses, and the Village of Swanton. Mayor Ann Roth asks area residents to throw in loose change when you see a donation jar at one of the numerous businesses that collect for the village. There will also be volunteers collecting donations on site on July 3. Due to heavy rains, there will be no parking in the grass area at the high school.